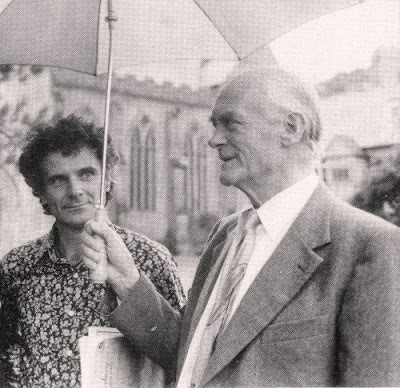 Another contribution to the Glock centenary - Sir William with Peter Maxwell Davies at Dartington Summer School in 1979. Glock is often criticised for ignoring the music of certain British composers. So it is interesting to note that there is not a single note of Max's music in the 2008 BBC Proms Season. But, don't worry, there's lots here, and a new CD here.